LOS ANGELES (April 16, 2019) – The Alliance for Women in Media Foundation (AWMF) announced the winners of the 44th annual Gracie Awards to take place May 21 at the Four Seasons Beverly Wilshire Hotel in Los Angeles. The event will recognize such esteemed honorees as Sandra Oh, Tisha Thompson, Rachel Maddow, Connie Britton, Elizabeth Perkins, Patricia Arquette, Leah Remini, Robin Roberts, Laura Lynch, Rachel Bloom, Angela Yee, Maura Tierney, Hoda Kotb and Savannah Guthrie, along with some of the most talented women in television, radio and digital media. Local and student award winners will be recognized at the Gracie Awards Luncheon on June 26 at Cipriani in New York City. As I sat and watched the 91st Academy Awards from my couch on Sunday, February 24th, I couldn’t help but notice that the awards this time felt a little different. Seeing women like Yalitza Aparicio and Regina King nominated for Best Actress and Best Supporting Actress, respectively, was a truly exciting moment and got me thinking about the importance of representation. While Hollywood still has a long way to go, some of this year’s biggest blockbuster hits, like Crazy Rich Asians and Black Panther, have done a great job elevating the conversation about representation in the media. Cortes’ assessment is an important one. It is the job of media professionals to make sure everyone sees themselves accurately represented in movies and news stories, and while we are far from a perfectly representative media landscape, we are making great strides to tell better, more inclusive stories. Media professionals across the country must continue to make commitments to tell more diverse stories so that more young woman can look at their televisions and say, “She looks like me”. 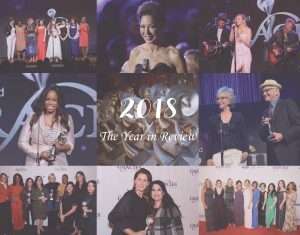 February 14, 2019, New York City/Los Angeles – The Alliance for Women in Media Foundation (AWMF) has announced that the 2019 call for entries for the annual Gracie Awards was the most successful in the program’s history. 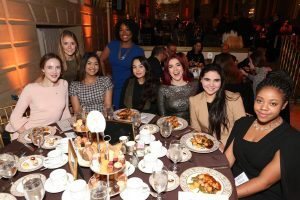 The Gracies are the largest fundraising event by the Alliance for Women in Media Foundation, the philanthropic arm of AWM that supports educational programs, charitable activities and scholarships to benefit women in media. The milestone comes as AWM and its Foundation (AWM/F) announce their 2019 National Board of Directors. New to the AWM Board are Abby Greensfelder, co-founder & co-owner, Half Yard Productions, Brenda Hetrick, chief revenue officer, Matrix Solutions, and Katherine Wolfgang, head of public relations, CBC. 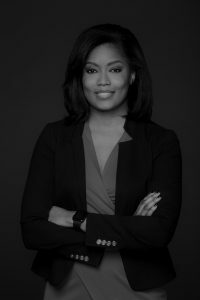 Keisha Sutton James, vice president, Inner City Broadcasting Corporation, will serve as incoming chair, Heather Cohen, executive vice president, The Weiss Agency, will serve as Treasurer. Josie Thomas, executive vice president, chief diversity and inclusion officer, CBS Corporation, will serve as treasurer-elect, while Sarah Foss, senior vice president, strategic initiatives, Freewheel Advertisers at FreeWheel will serve as immediate past chair. The following individuals will serve as Directors at Large of AWM: Joyce Fitch, executive vice president, general counsel and secretary, Beasley Broadcast Group, Inc.; Jinny Laderer, president, vCreative; Meg LaVigne, president of television, Litton Entertainment; Kelly DeLace Perdomo, vice president, content, sports, entertainment, and partnership marketing, SiriusXM; and Diane Schwartz, SVP and group publisher, Access Intelligence. The following individuals will serve as Directors at Large of AWMF: Anne Cowan, senior vice president, communications and marketing, CTAM; Annie Howell, co-founder and managing partner, The Punch Point Group; Deborah Parenti, publisher, RadioInk, RBR and TVBR; Rob Stoddard, SVP program network policy, NCTA – The Internet & Television Association; and Kristen Welch, chief financial officer, Illustrative Mathematics. The 44th Annual Gracie Awards Gala will take place May 21, 2019, at the Beverly Wilshire, Beverly Hills, A Four Seasons Hotel, and the Gracie Awards Luncheon will be held June 26, 2019, in New York City at Cipriani 42nd Street. When Glamour Magazine announced their women of the year issue, I knew it would be nothing short of amazing. What I wasn’t prepared for was one of the best journalistic, power-woman combos of 2018: Yamiche Alcindor writing about Kamala Harris. As a California native, Kamala Harris’ rise to political stardom is one I have watched closely. She is the only African American woman in the Senate, and its first ever Indian America. She has made a name for herself championing the rights of women and minorities, and prior to serving in the Senate was the Attorney General of California, where she took on cases that reshaped California’s legal landscape. Alcindor is one of those journalists whose careers you dream of when you’re a little girl. She’s written about some of the most consequential events in the last decade including the Sandy Hook Elementary School shooting, the shooting of Trayvon Martin, the Ferguson unrest, and the Baltimore protests. As I read the story, I couldn’t help but stop and take in what was occurring. Two women of color, sitting down for a national news outlet, elevating a story and a voice that would have otherwise been drowned out fifty years ago. The piece, which details Kamala’s political career and background, is written with a kind of careful consideration that only women can provide to one and other. Upon finishing the story, I was able to reflect on what an incredible moment in history we are living in. The piece inspired me to go back into my internet history and find some of my favorite profiles, written by and about women and post them to Twitter. “Women are an amazing, powerful force and I am inspired by the ones around me every day,” I wrote. “Here is a thread of profiles I’ve read in the last few months that make me hopeful for our future,” and with that I listed out some of the pieces that I found strength in this past year. They include Claire McCaskill’s Toughest Fight, Kamala Harris Is on the Rise, How Maya Rudolph Became the Master of Impressions, Aly Raisman Takes the Floor, The Quiet Power of Viola Davis, She Founded Me Too. Now She Wants to Move Past the Trauma, and What Does Tulsi Gabbard Believe? I am reminded of what a powerful force women in media are almost every day when I read profiles by Jia Tolentino and Taffy Brodesser-Akner. I am lucky to see myself represented in television news when I watch Katy Tur and Hallie Jackson report live from the White House, and I am excited about the future when I see my peers, like Allison Pecorin, taking on some of the biggest news stories of the year. Despite what some might say, I have immense hope for the future of this industry and the women involved in it. What a year it’s been. 2018 has been filled with glimmers of hope even as we see tragedy and hardship. Communities came together to provide aid to those in need and strangers wept for people they’ve never met. Women, men and children marched for change, and we gathered to watch a royal wedding, midterm elections and a beloved president’s funeral. Through it all, the media was there – talking, listening and documenting. Despite a turbulent year for journalists, your hard-working teams kept us up-to-date every step of the way and delivered these stories directly to watching eyes and listening ears where people wanted it at that moment. For this reason, we thank you for your perseverance and dedication. AWM owns the responsibility to recognize, honor and distribute the content that you, the drivers and supporters of content, are creating. For more than 60 years, the Alliance for Women in Media has been supporting and celebrating the contributions of women through connections, education and storytelling. Born out of the National Association of Broadcasters, AWM (originally the American Women in Radio and Television) was created by a group of women who understood the need to connect within a male-dominated media world, so they could positively impact the future for other women in the profession. History is full of stories like these—stories of women who had the courage to step up, speak out and their actions have a lasting impact. The current leadership of AWM should be so proud of what has been built on that foundation. I have had the privilege of serving AWM for nearly four years now and our collective goal, to further why we were founded, has been to focus – focus on recognition, connection and build the future of women in media. Focus is critical as growth can happen where energy is given. We have seen and experienced that in 2018 with record breaking Gracie entries followed by celebrating those winners at the Gala and Luncheon. Rebranding the Gracies Leadership Awards and honoring seven deserving women and learning from Pam Oliver about her rise to the top of women in sports broadcasting. Six deserving students received more than $20,000 in scholarships and ten more experienced the Gracies Leadership Awards first hand and will participate in a Lunch and Learn at CBS. You can read some of the content our future leaders have written on our site. The future looks bright! While these efforts are impacting the future – we know there is still more opportunity – so we will continue to focus. The AWM board of directors met recently for a strategic planning meeting and through much brainstorming and discussion, the board created a list of goals for new AWM initiatives which include more ways to engage AWM members. We want to push even more snackable, relevant content to members and the masses while adding opportunities for education in the future. We also want to gather executive women in one room across television, radio and interactive media – which is what AWM has the unique ability to do. It is also important to continue shining a light on content creators at all stages of their careers and the Gracie Awards do just that. 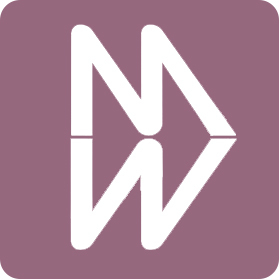 We invite each of you to consider ways to engage with AWM and our Foundation to impact the future of women in media. The opportunity is available now to enter outstanding content to be honored at the 2019 Gracie Awards. Additionally, look for ways in early 2019 to volunteer on task forces implementing some of these new initiatives as well as judging Gracies in early 2019. There is still much to be done including more seats at board room tables for women and our collective voices and effort will continue to bring positive change. AWM will fulfill our responsibility of recognizing, honoring and distributing even more content created by, for and about women. With 2019 in sight, we can reflect on what we’ve learned this year, while looking forward to a fresh start. I hope we can all focus on growth in areas of our professional and personal lives. We have an opportunity to take action by mentoring, coaching, teaching and raising other people up, while finding and navigating our own paths forward. Here’s to welcoming a New Year and wishing the world of media a healthy, happy and productive 2019! Receiving an email from AWM with the subject line ‘Congratulations…’ was unbelievable, and I predict it will be Life Changing! The criteria for the CBS/AWM Fellowship called for female, college students in media. I am proudly female, but well beyond my college years. I wrote in anyway! I never thought I would be chosen. I’m in my Forties, Fabulous and I have pursued Media my entire adult life. Yet, I dared to step outside the criteria guidelines and ask if anyone would take note of my accomplishments and see me. On a whim, I went for it and reminded myself… You are what they’re looking for! Attending the Gracies Leadership Awards felt like it was day one of my new journey. Seeing so many successful women was Women’s Empowerment at its BEST! I felt like I CAN because they HAVE! Every woman in that room earned the right to be there and I was there with them. So grateful! I wanted to have a conversation with each of them to find out their story because I’m a firm believer that every Woman has a story and Women Empower Women when we share our stories. We were the Best of the Best that day. And seeing Jeff Zucker, President of CNN Worldwide, was an added treat. It’s been many years, but I got my start interning in his office on a show called ‘NOW,’ with Tom Brokaw and Katie Couric. Full Circle moment for me! When others said ‘No,’ I had to be my own ‘Yes.’ I created and hosted my own Talk Show, ‘I AIN’T That CHICK,’ about Self-Empowerment, Self-Awareness, and Self-Respect for women and girls of all ages and ethnicities and later created two more Talk Shows, ‘Chick Chat’ and ‘DISCUSSIONS.’ www.iaintthatchick.com I currently Co-Host a Faith Based, Internet Radio Talk Show called, ‘Be Yourself’. I’m passionate about my purpose and love for Media. I am humbled, I am honored and I am beyond grateful that AWM and CBS saw me! Some blessings are delayed, but definitely not denied. At the Gracie Awards Luncheon, on June 27th 2018, I was living a dream. I never thought in a million years I would be receiving an award of this type of grandeur and prestige. I never fully had confidence in my capabilities until that day. That moment opened my eyes and made me realize anything is possible if I just believe in myself. At the Gracie Awards Luncheon, I was inspired by so many women. I was particularly inspired by PBS News Hour Editor in Chief, Judy Woodruff. Anyone can be a journalist, but it takes someone special to be a storyteller. Judy Woodruff is a master at her craft. From watching her on TV, to seeing how she carries herself, Woodruff cares about the message she is sending out to society and does not care about putting on a persona for viewers. The best moment was when I got the opportunity to talk with Woodruff at the luncheon. It was a moment that I will never forget. After I introduced myself, she was so gracious and asked, “What was your story?”. She told me she was going to look through the stories of all the winners on the plane back to Washington DC. From that moment, I knew the kind of person she was – kind, caring and inspirational. One of my favorite quotes from Judy’s speech was, “We have come a long way, but we still have work to do. We need more women in decision-making jobs, more women doing the hiring, more women deciding which stories get covered and more women reaching out to bring along younger women like the remarkable women we are seeing here today.” I agree with Woodruff that, as women in the media, we need to start uplifting each other and praising each other for our achievements in the industry. Besides being a great storyteller, Woodruff cares about those with disabilities, as her son has spina bifida and hydrocephalus. Due to her son’s conditions, she is able to relate to others who are going through similar circumstances. That is another reason why she is great at her job. Audiences don’t just see a woman doing her job as a journalist, they see a woman who has opened part of her private life up to the world, in hopes that others can understand and know more about those with disabilities. Every single one of us is different on this Earth, and it’s time that everyone respects one another and our differences, no matter the severity. What I took away from this experience – becoming a Gracie award winner and being in a room full of talented journalists and storytellers – is that everyone has his or her own story. The road to success is different for each person. I learned that no matter the struggles people have in their lives, it matters how they persevere and continue to achieve their goals. To me, that’s true inspiration. I am standing in the middle of a fancy ballroom in NYC and recording the scene to preserve the moment in my mind forever. There are well-dressed people, purple lights, chandeliers, glasses of champagne and beautiful women taking pictures with their awards. My mom, brother and friends are waiting for this, so I post it on Instagram immediately with the caption, “This is the first time I feel important in my life”. I am 32, and that is not a lie. I feel important as me, Nazanin, for the first time in 32 years. I am here to accept my scholarship for a story of my life that I sent to the Alliance for Woman in Media. We are sitting at table 1 with all these important people working for different networks like CNN, journals and other places that I have always dreamt of working with one day. The beautiful girl from Ford is reading my article, which is a story about an ordinary Middle Eastern girl. People are clapping, tears are coming and I am overcome by this feeling in my heart that they have heard what I have told them. They are looking at me with no anger, judgment or pity. I am “me” here. All my life, as a woman, I have not been allowed to talk about what I believe in, what I want or do not want to be, what I’ve gone through and what I feel about life in my country. There are some places in this world where you can tell your story and nobody is going to punish you for telling the truth. Alliance for Women in Media has given me the courage, confidence, and motivation to speak my truth. Standing in front of people I have admired all my life, talking to them and being heard by them has given me the encouragement to not be silent anymore. I know this experience is not just for me. This is for every other woman. Today, we need to cheer each other on, shake each other’s hands and help each other. The Alliance for Women in Media is a place where we can find that. My entire life, I have been supported by strong women who have believed in me and my ability to achieve my goals. Beginning in high school with my Mock Trial coaches, Judith Daar and Debby Stegura, I learned that there was a vast network of women looking to nurture and help young women find their voice and stand up for what they believed. In college, I had the opportunity to work for C-Strategies President and CEO, Becky Carroll, who believed in me enough to allow me to take on a full-time role within her office and instilled confidence in me to stand behind the work I’d done. Those women, along with many others, fundamentally changed my life. They taught me to seize opportunities, make my voice heard and never turn down a challenge. I have come to realize how lucky I am for this vast support network, and I can see how much I’ve achieved because of it. I was drawn to the Alliance for Women in Media for this very reason. The organization, which was created by women and for women, is a constant reminder that women can achieve incredible goals, status and progress when they support one another. I’m inspired by the Alliance’s commitment to educate, connect and inspire others in media and related fields. Because of AWM’s work, women who might otherwise be passed over for positions or opportunities find themselves elevated to a position where they can receive the recognition they deserve. Now more than ever, women need a seat at the table. Especially when it comes to media coverage and decision making, having women in positions of power is integral for balanced and thoughtful coverage. Organizations like the Alliance for Women in Media are vitally important. By providing scholarships to students pursuing careers in media and allied fields — as well as supporting educational programs, charitable activities and public service campaigns — the organization continues to demonstrate the power of female leadership. As one of this year’s Emerging Voices Scholarship winners, I am hyper-cognizant of how lucky I am to have the AWM’s support. The quote “Behind every great woman is a tribe of other successful women” couldn’t be more true. The Alliance for Women in Media is living proof.